Commemorates the service and sacrifice of those who served in the armed forces from 1950 to 1955 and helped deliver the Republic of Korea from tyranny. Features "Remembering" by Charles Goslin. The backdrop of the memorial stands 30 granite panels engraved with the Korean War statistics, events, plaques for each of the five military service branches, a Purple Heart panel and dedication panel. Eight of those 30 panels carry the names of the 415 Kansan soldiers who were lost in the war. “Over a million and a half US soldiers served in the Korean War, 1950-53, 36,940 lost their lives including 415 from the State of Kansas. 8,171 are still missing in action (MIA). This Memorial is to honor them as well as all members of the Armed Forces who defended freedom in Korea. 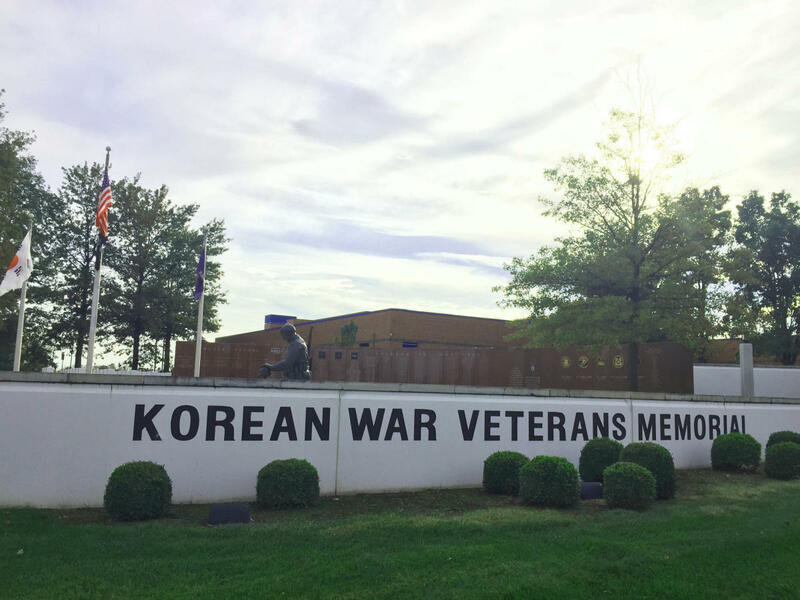 Overland Park, KS Chapter #181, Korean War Veterans Association has erected this Memorial to honor their service & sacrifice in what many called America’s “forgotten war”.